Gonzaga junior forward Rui Hachimura has declared for the NBA Draft, the school announced. Hachimura made it official Monday, but his announcement isn’t considered a surprise. The 6-foot-8, 230-pound forward from Japan has been projected as a first-round selection, likely as a lottery pick, on numerous NBA mock drafts. “The last three years at Gonzaga have been a dream come true, and now I’d like to pursue my next dream of playing in the NBA,” Hachimura said in GU release. “This was a significant decision for my family and myself. I just want to thank everyone at Gonzaga, especially the coaching staff and all of my teammates who went to battle with me and are my brothers for life. Hachimura, who led Gonzaga in scoring (19.7) and was second in rebounding (6.5), has made several All-American teams. He was recently named the Julius Erving Award winner as college basketball’s top small forward. He was named WCC and District IX player of the year. Hachimura has reportedly lined up an agent. 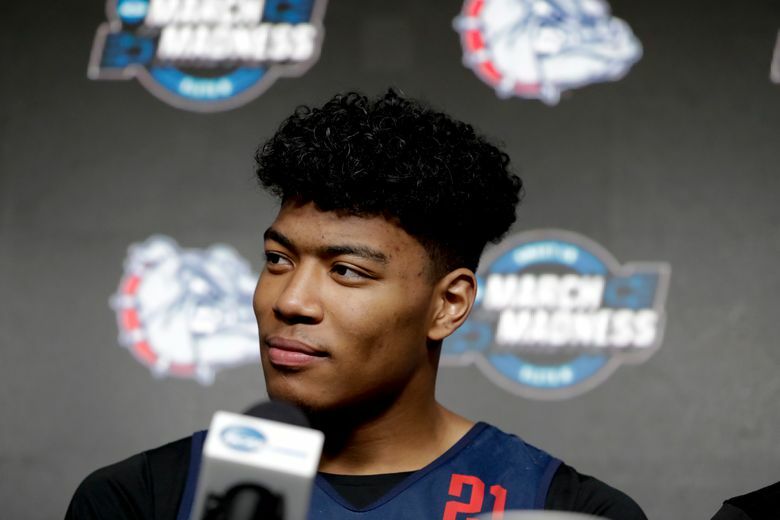 Under the new rules, that doesn’t necessarily end Hachimura’s college career – players who opt to return have to cut ties with their agent – but those close to the program believe he’s played his last game in a Zag uniform.